Used Kia Picanto Review - 2011-2017 | What Car? 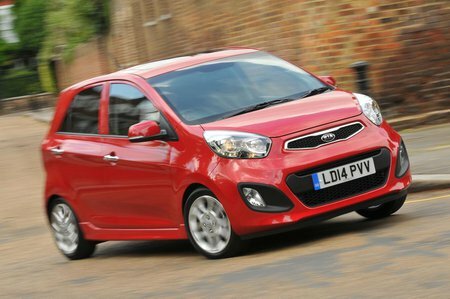 What's the used Kia Picanto hatchback like? 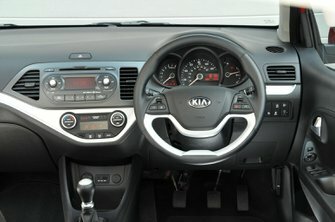 The launch of the second-generation Kia Picanto city car in 2011 was all-singing, all-dancing, but in reality Kia had had its thunder somewhat stolen by the mechanically identical Hyundai i10, which had already been on sale for three years. Still, if you’re going to base your city car on another model, you could do a lot worse than using the i10 as a starting point, and the Picanto carried over many of that car's advantages. For a start, the Picanto is surprisingly spacious for passengers considering its dinky exterior dimensions. Two adults or three children can fit in the back without too much cause for complaint, with access obviously easier in the five-door version than it is in the cheaper three-door. It’s a shame, though, that the steering wheel doesn’t adjust for reach as well as height, and you also lose out on boot space compared with rivals: anything other than a small amount of shopping or a couple of soft bags will be a problem. The Picanto's petrol-only engine range consists of a 1.0-litre three-cylinder or a 1.2-litre four-cylinder. With just 68bhp, the former is rather pedestrian in terms of performance, but the 84bhp 1.2 feels quite lively – assuming you go for the manual rather than the four-speed automatic gearbox. Overly light pedals can make it easy to stall the Picanto, but it's otherwise simple to drive thanks to its light steering, good visibility and small size. In the city, this can make it quite good fun to drive, and getting into parking spaces is a piece of cake. However, out on the open road the Picanto starts to feel a little out of its depth, with no feel through the steering and a fidgety ride. Add in a lot of wind and tyre noise on the motorway and it’s hard not to conclude that newer rivals such as the Seat Mii, Skoda Citigo and Volkswagen Up are better all-rounders. Kia, however, fights back with an excellent warranty. It covers the car for up to seven years or 100,000 miles, so many used Picantos will still fall under the manufacturer-backed scheme, which will be music to the ears of any used car buyer. However, as with all of these longer warranties, it’s worth checking that it covers as much as you’d expect in its later years – we’ve heard of some owners entering disputes with manufacturers after claims were not honoured as they were considered to be wear and tear. The Picanto did undergo a series of mild model revisions, including a facelift in 2015, but in reality the changes were so slight that you’d barely notice. Of more importance is its performance in Euro NCAP safety tests which, although solid, still places it behind the five-star Mii, Citigo and Up.